Percona announces the GA release of Percona Server for MySQL 8.0.13-3 on December 21, 2018 (downloads are available here and from the Percona Software Repositories). This release merges changes of MySQL 8.0.13, including all the bug fixes in it. 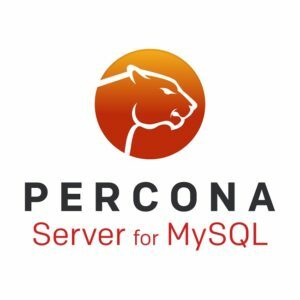 Percona Server for MySQL 8.0.13-3 is now the current GA release in the 8.0 series. All of Percona’s software is open-source and free. Percona Server for MySQL 8.0 includes all the features available in MySQL 8.0 Community Edition in addition to enterprise-grade features developed by Percona. For a list of highlighted features from both MySQL 8.0 and Percona Server for MySQL 8.0, please see the GA release announcement. Note: If you are upgrading from 5.7 to 8.0, please ensure that you read the upgrade guide and the document Changed in Percona Server for MySQL 8.0. TokuDB Storage Engine: the Percona Server for MySQL 8.0 release series supports TokuDB. We are deprecating TokuDB support in the next major release. Percona encourages TokuDB users to explore the MyRocks Storage Engine which provides similar benefits for the majority of workloads and has better-optimized support for modern hardware. #5155, #5139, #5057, #5049, #4999, #4971, #4943, #4918, #4917, #4898, and #4744. We have a few features and issues outstanding that should be resolved in the next release. #4892: Re-Implement Expanded Fast Index Creation feature. #5216: Re-Implement Utility User feature. #4933: Regression in Slow Query Logging Extensions feature where incorrect transaction id accounting can cause an assert during certain DDLs. #5174: MyRocks: Attempting to use unsupported features against MyRocks can lead to a crash rather than an error. #5024: MyRocks: Queries can return the wrong results on tables with no primary key, non-unique CHAR/VARCHAR rows, and UTF8MB4 charset. Find the release notes for Percona Server for MySQL 8.0.13-3 in our online documentation. Report bugs in the Jira bug tracker.